We'll help you find the financing you need to keep your fleet up to date and your business growing! We want to allow our customers every convenience when doing business with us and thus have an in-house Finance Manager. Whether you want to lease or finance, we work with many lenders and offer competitive rates to support you in obtaining the equipment you need to run a profitable business! For your convenience you can fill out a credit application online and submit it directly to our Finance Manager. All your information is encrypted and secure. What are the financing terms? Terms will very depending on credit score, company size, purchase size, term and other factors. We offer a wide array of loan types, rates and terms, please fill out an application today! We will need to collect all information listed in the credit application. Once you have submitted that information, we will send it to multiple lenders who will determine whether a loan can be approved. 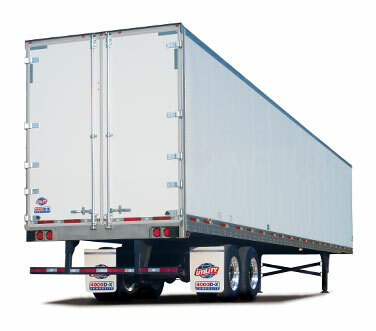 You have the option to finance your truck and trailer at Utility Trailer Sales of Utah. In doing so, you’re able to pick out your truck and drive it home the same day. While you’re not obligated to get financing on-site, financing through Utility makes purchasing easy and convenient. Also, we’ll make sure you get the best financing options and lowest interest rate available when you finance through us.